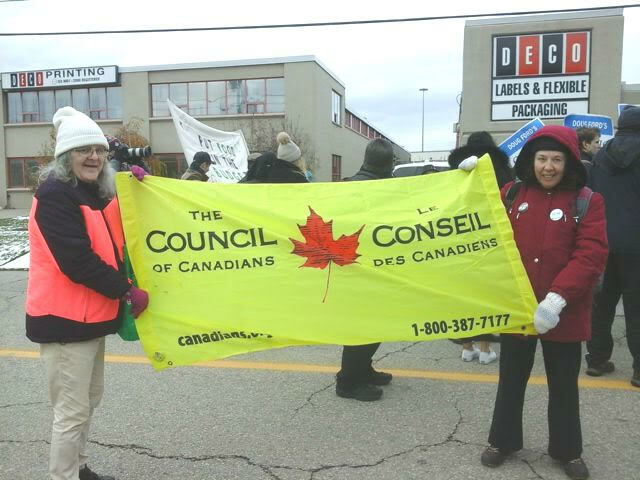 Council of Canadians Hamilton Chapter at Saturday’s Stick It To Ford! Demonstration organized by OCAP outside of Doug Ford's DECO label factory and printing firm. Joined by several supporters of the Hamilton Chapter, fellow activists in Burlingon, allies from the Campaign for Adequate Welfare and Disability Benefits, and $15 and Fairness Hamilton. Photos courtesy of Karl Wlasenko from the Hamilton Chapter. Campbell River Chapter: A new one hour video on fish farming with some alarming new facts about the toxicity of farmed salmon.